I wear the Nimbus-K jacket for everyday riding and love its simplistic look and comfort. The Kangaroo and full-grain cowhide make it feel resilient, yet supple. Keprotech stretch panels help when moving around, on or off the bike. It also has an Outlast lining which keeps your body at a constant temperature. I’ve worn the leathers in temperatures of 10-28°C and found it comfortable. It can get a bit sweaty at the top end of that range and I turn to a textile jacket when it gets really cold. The jacket zips easily onto the trousers with a big chunky zip that goes from hip to hip to keep trackday organisers happy. There are plenty of pockets too. I also like how well the cuffs and ankles zip down and stay close to your skin to allow boots and gloves to be easily pulled over the top. The trousers are comfy too and I like the subtle, two-tone Union Jack flags above the knees and on the lower back. 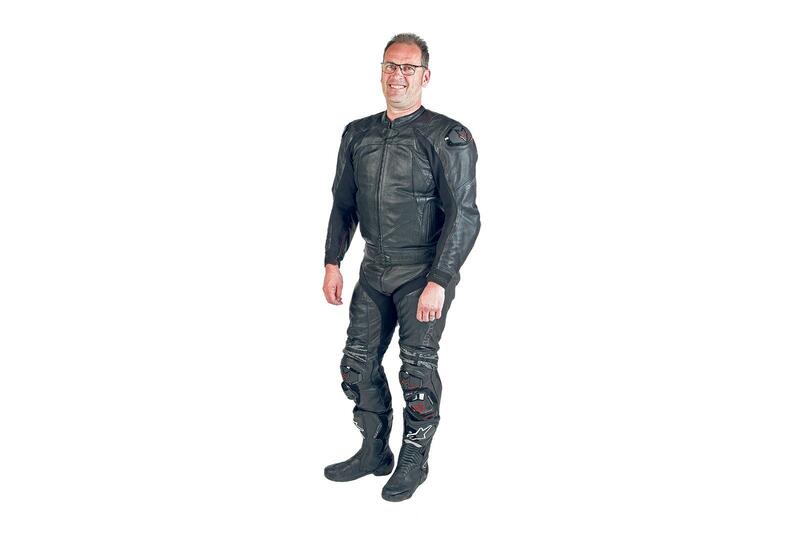 Nearly £900 for a set of leathers is not cheap by any means, but being two-piece they are so practical. 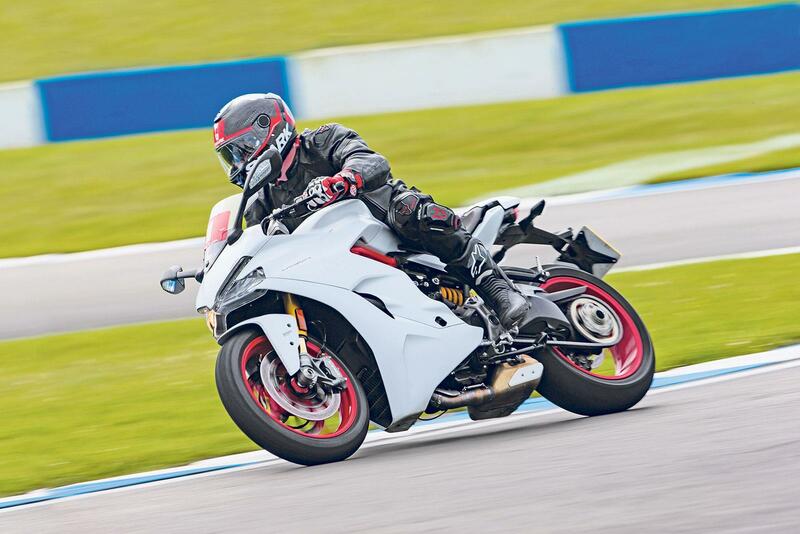 I wear the jacket regularly and when I do go on a trackday or a spirited ride, I’ll stick the trousers on too. While there are plenty of pockets, the ones on the trousers are bit tiddly and you can barely get a bike key in there.